JAWS movie poster original vintage 1975 - stunning ! A rare vintage 1975 movie poster, (USA 1-sheet), in excellent condition, with no rips tears or pinholes !. Folded as supplied to original movie cinema. 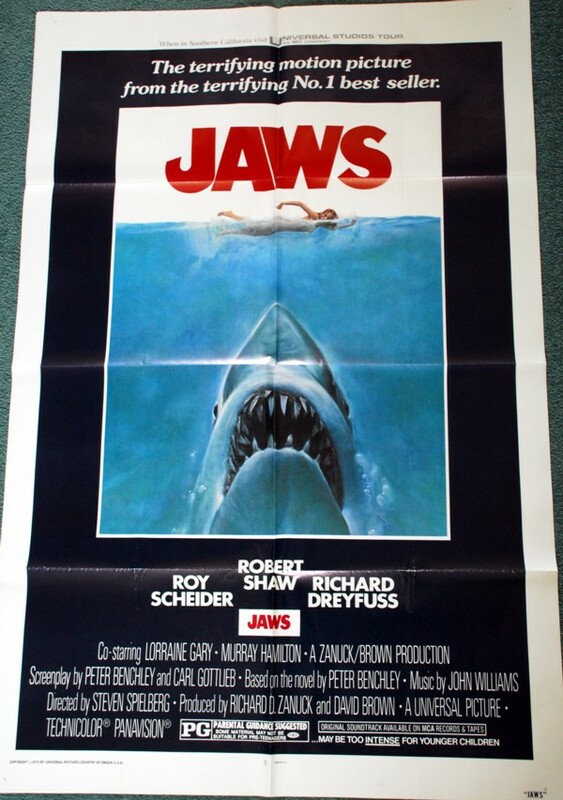 Notify me of updates to JAWS movie poster original vintage 1975 - stunning !